Are you looking for an SUV that will get you where you need to go, no matter the destination? An SUV that can handle any road that you put in front of it and provides a smooth ride no matter what? 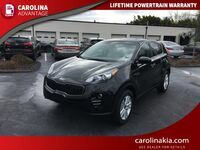 Then you should be getting behind the wheel of the 2015 Kia Sportage in Greensboro NC at Carolina Kia. This exciting vehicle is ready to give you one of the best rides there is, no matter what adventure you are taking off on. The 2015 Kia Sportage in Greensboro NC is available in two different trims, the LX and EX. Both of these vehicles feature a 2.4-liter I-4 engine that produces 182-horsepower and cranks out up to 177 pound-feet of torque. The vehicle comes with a standard front-wheel drive system, but all-wheel drive is available. 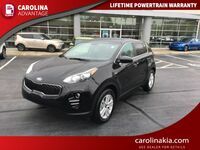 As for fuel-economy, when equipped with just the 2-wheel drive, the Sportage achieves an extremely efficient 28-mpg highway and 21-mpg city. Interested in a 2015 Kia Sportage? 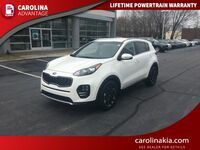 What really helps the 2015 Kia Sportage in Greensboro NC stand out from its competition is the bold exterior that it displays. From its aggressive front grill, all the way to the tip of its available rear spoiler, this vehicle is a constant display of excellence. The Sportage sits proudly on its 17- or 18-inch alloy wheels and is fully prepared to handle any surface, whether its the smooth highway, or beaten off-road path. The vehicle also has some fantastic available features on the exterior that drivers can equip their Sportage with. These include a panoramic sunroof, roof-rails, LED turn-signal indicators, power folding mirrors, and automatic light control. All of these are available to make an already exciting driving experience even more fulfilling. 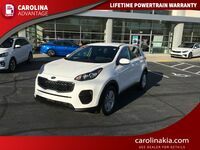 While the exterior is looking as great as any vehicle on the road, the inside is doing just as much to provide you with an outstanding ride in the 2015 Kia Sportage in Greensboro NC. The vehicle features the UVO eServices infotainment system, which allows you to connect your smartphone directly to your vehicle and access many of the phone’s features handsfree. You also have a standard active Eco system which helps your vehicle run more efficiently. 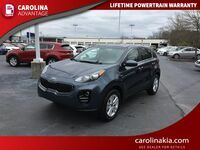 There are also plenty of available features that the 2015 Kia Sportage in Greensboro NC offers. These features include a voice command navigation system, an Infinity Surround Sound Audio System, push button start, HomeLink, leather seating and more. If you would like to try the Sportage out for yourself, you can schedule a test drive online.